Hey there reader! How's your review? The exam is just a few months away and everyone's getting busy processing their requirements. 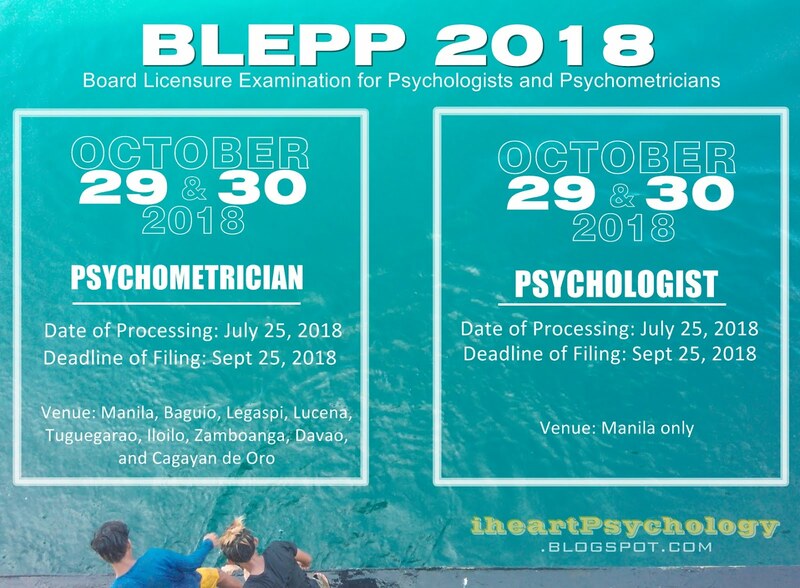 I hope you're having the same concerns...because the Psychology Board Members said that it's better to process and complete your requirements early so, you'll have plenty of time to fix problems that would arise. Alam niyo na mahirap mag-pabalik-balik sa PRC. Anyway, just a quick update about my own Licensure Exam requirements, I've already got my NSO birth certificate and my NBI clearance is still valid. I've also completed my deficiency subject (Industrial Psychology) and I'm just waiting for my grade to be released so that I can request a new Transcript of Record. I'm really hoping to complete all requirements this July so I can finally register online and go to PRC to let them check my papers. ...because I've been receiving lots of "thank you" mails lately and I can't keep myself from smiling. 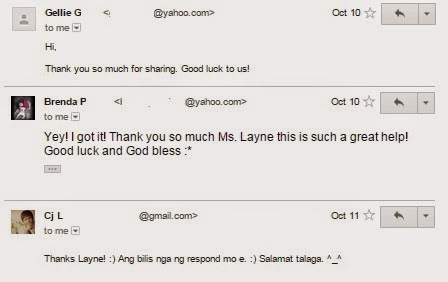 Nakaka-touch ang mga reply nio sa email ko. 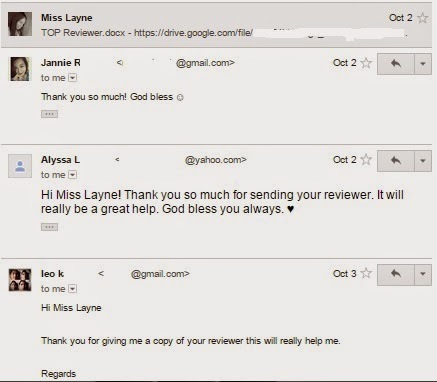 And to be honest, your mails had been one of my greatest motivations to continue my review. 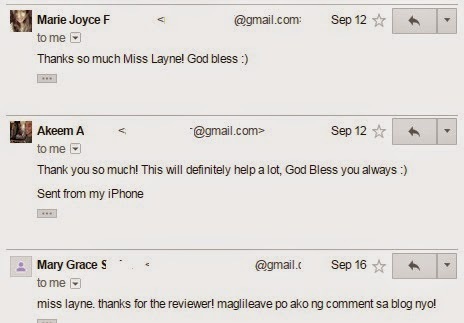 Minsan kasi nakaka-bore mag-review lalo na kapag self-review ka lang. But because of your replies to my Free Theories of Personality reviewer I always got a doze of inspiration. You guys always made my day. Thanks for spending your time reading my posts about the licensure exam. 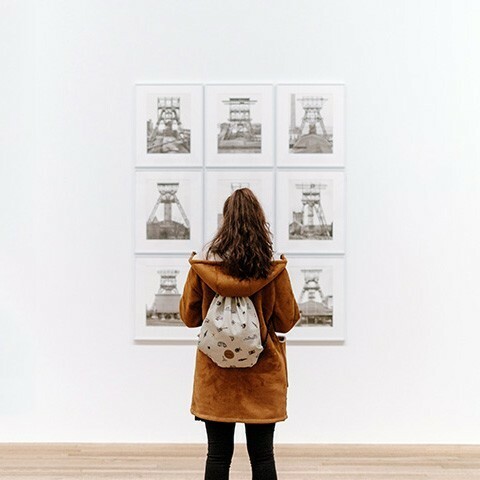 I know my blog is not that rich in terms of content but I see to it that I am here to help you out through the licensure exam process. We're all in this together! haha! You are all welcome!! Thanks a lot too. Good luck to our review and keep on checking my blog for more updates and share this to your psych friends too. This page would serve as a reminder to me. A source of motivation.